McLaren say they are struggling to understand why their car lacks pace this season - especially in qualifying. Fernando Alonso is sixth in the championship after three points finishes. But both McLaren cars have qualified outside the top 10 at all grands prix. "We need to understand why we are slow in qualifying, why we are better in the race and why we are behind the other Renault teams," racing director Eric Boullier said. 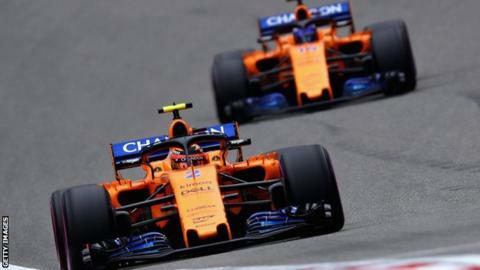 McLaren had expectations of battling for podium finishes and even wins this season following their switch to Renault engines from Honda, having claimed last season that they had one of the best chassis but were being held back by their engine. But Alonso's best qualifying position so far was 11th at the opening grand prix in Australia, and he was 13th on the grid in both Bahrain and China. He finished fifth in Melbourne and seventh in the other two races. Team-mate Stoffel Vandoorne has qualified behind Alonso in all races and scored points in ninth and eighth places in Australia and Bahrain. Alonso said of his seventh place in China: "A good Sunday for us. Fridays and Saturdays are a little bit worse but the points are given on Sunday. So far, so good." The two-time champion said Daniel Ricciardo's victory for Red Bull in Shanghai "shows us the potential of the [Renault] power-unit. It gives us confidence that with this power-unit we will be able to fight if we do a good job on the chassis side. "We are not quite there and we need to close the gap and work hard and bring some updates in the next races." Boullier has blamed reliability problems in pre-season testing for a delay in the production of upgrades that had been due for the opening races. These are now scheduled for the fifth race, in Spain next month. Boullier said: "From that point we will see performance-wise where we are." But he also said at the Chinese Grand Prix that McLaren might have set their performance targets too low during the design process of this year's car. "The car has matched all the targets, so maybe that means the targets were not the right ones and we need to revise in terms of ambitions what we need to achieve." Is the car too 'draggy'? McLaren's rivals did not share their view of the quality of their car last year. Engineers from rival teams believed that the McLaren was quick in the corners because the car was running with too much drag - and that this was at least as much to blame for its lack of straight-line speed as the Honda engine. Events so far this year suggest that McLaren could have misinterpreted the quality of their chassis - it is still the slowest in the speed traps despite switching engines. 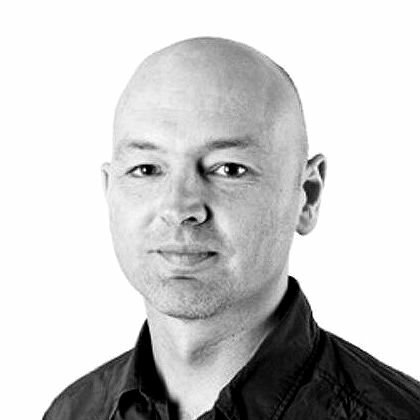 Boullier said: "This is obviously one of the issues but it's not the only one. "If it were a question of just drag in the car it would be easy to fix so we have to address - I'm going to use the word fundamentally - all aspects of the car to make sure we are where we should be." Is it easy to fix a draggy car? The amount of aerodynamic downforce a car has is one of the key determining factors in its performance. But, for a complex series of reasons, more downforce does not necessarily mean better lap time. One of these reasons is that downforce creates drag, which slows the car on the straights. So all teams are trying to find the optimum balance between downforce and drag - which means they seek to create downforce in the most efficient way possible. If the car has too much drag, a team cannot simply reduce it, because that also reduces downforce. They have to find a way to create the same - or more - downforce while also producing less drag. McLaren's performance suggests their car's downforce is not created in as efficient a manner as that of teams with faster cars. If the team's Spain upgrade package does not deliver a significant improvement, fixing that could take months because of the lead time involved in researching and making new aerodynamic parts.